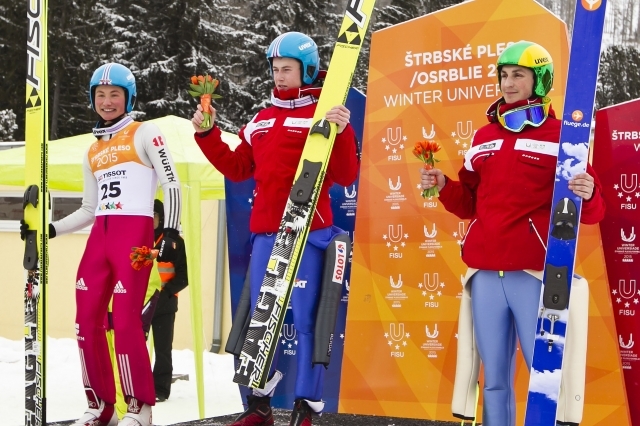 Cielsar first success at the Winter Universiade had been subject to a photo-finish with Germany's David Welde so it was no surprise that the two men were locked in battle for the second men's Nordic combined gold medal of the Universiade. Welde put the pressure on the Pole in the opening event of the Nordic combined, a 10 kilometres cross-country mass start, finishing in a time of 27min 20.6sec, with Cieslar 39.3 seconds further back in second. The Polish athlete responded in the first round of the ski jumping with a jump of 89.5 metres to take the lead in the contest as Welde managed a comparatively short 77m, and Cieslar refused to let his hard fought lead slip away with an 88.5m second jump. Germany's Welde was forced to settle for a second silver of the Universiade behind his nemesis, while another Polish athlete Mateusz Wantulok claimed bronze, following impressive jumps of 91m and 94m, which proved to be the second longest of the competition. "David was strong at skiing part so I followed him in order to decide about my victory in the ski jump part," Cieslar said. "Weather conditions made me a bit afraid, however everything ended up well." Meanwhile Štrbstké Pleso was also the scene for the first women's team ski jumping competition in the Winter Universiade's history. 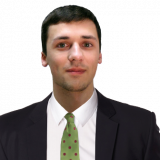 "It is a very important indeed, and we had to offer this event in our programme even though we knew that participation would be modest," Paul Ganzenhuber, the International University Sports Federation (FISU) technical delegate, said. 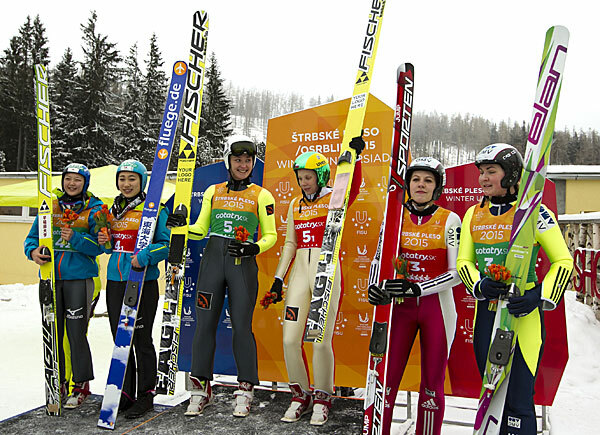 Irina Avvakumova, Russia's first ever winner of an International Skiing Federation (FIS) ski jumping World Cup event in 2014 and gold medallist in the women's individual competition earlier in the week, led the Russian team to the inaugural women's team title. Japan proved to be their nearest challengers, finishing with a total of 385.9 points, 6.4 points behind the Russians total of 392.3, while the Czech Republic were some way back in third with a total of 322.8 points. The Russian team will feel confident of adding further medals to their tally with their gold medal winning women's team set to team up with the men for the mixed competition. Events in Štrbstké Pleso and Orsible, Slovakia, are set to draw to a close on Sunday (February 1), before Granada, Spain, assumes its role as co-hosts for the Winter Universiade from February 4.